Jerry Grillo’s dream of becoming a jazz singer was long deferred. He played in high school and college musicals, did a few shows after moving to Milwaukee in the late ’60s and sang in pop cover bands through the ’70s. None of it was exactly what he wanted to do. After a while, Grillo abandoned music and focused on teaching at John Marshall High School. However, in the last years before retiring from MPS, Grillo finally reinvented himself in his spare time as a serious jazz vocalist. Next week Grillo marks the 25th anniversary of his debut album, This Funny World, with a performance and a remastered reissue of the recording. Allen’s “I Chase the Sun” is the lone number on This Funny World not drawn from the Great American Songbook. 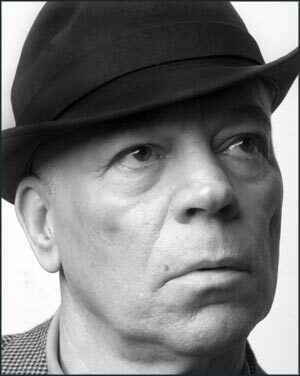 Singing in low-key almost conversational tones, Grillo focused on interpreting the songs of Rodgers and Hart, Cole Porter, Johnny Mercer and other writers from the pre-rock era. Several people involved in the original release of This Funny World have gone on to success. Allen was signed to Blue Note records and is now on the music faculty at Doane College in Nebraska. The Milwaukee artist responsible for the cover’s funky drawings, Chrisanne Robertson, has been exhibited in galleries and has received commissions for her work. 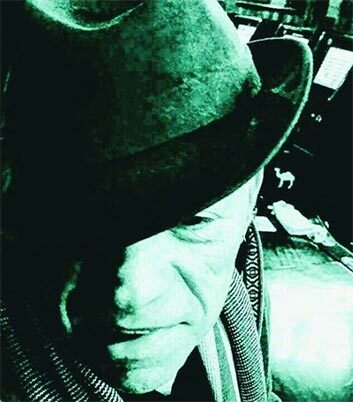 Jerry Grillo performs 7:30 p.m., Tuesday, May 2 at Transfer Pizzeria, 101 W. Mitchell St. Album followed album, and although Grillo has relaxed the pace, he has kept himself busy. He was the subject of a short documentary that was shown at the Milwaukee Film Festival and other festivals, and is booking agent, promoter and soundman at Angelo’s, a bar featuring live jazz on the city’s East Side. He remains optimistic about the music’s future. “There are a lot of young people who are just discovering these songs and what they are about,” he says. “They are curious about this music. I know there’s so much else out there these days, but we can’t let go of these songs.” Jerry Grillo will perform May 28 at the Uptowner, 1032 E. Center St., and July 31 at the Jazz Estate, 2423 N. Murray Ave. 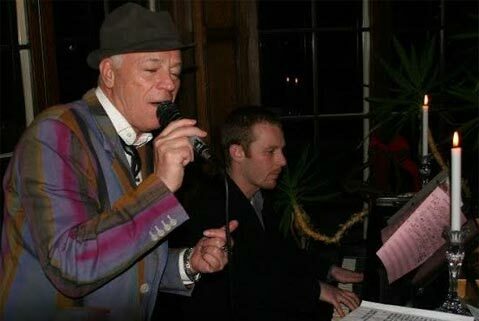 It was the summer of 2012 when Jerry Grillo met pianist Joe Kral at Angelo's Piano Lounge. Kral -- trained by Willie Pickens and a veteran of clubs in Milwaukee, Chicago and New York -- was sitting in for the evening's performances, but Grillo could he was a special musician, one he'd want to work with. "It was clear to me that he had very good training with a very good teacher," Grillo recalled. "You can hear it. The techniques. The approach to a song. The sensitivity. As a trained jazz musician myself, I can hear that, and I can sense what the combination of the piano player and myself is able to accomplish." Grillo's sense appears to have been correct, as the two have continued to work together over the past year. They still gig together at Angelo's on Friday nights, as well as at other venues and events scattered throughout the city. The duo also recorded a few unreleased ballads to go along as a tribute to Elsa's On The Park wall mural featuring the sheet music of "Stardust." The experience of working with Kral in the studio on those tracks, combined with the pianist's adept touch for classic ballads, inspired Grillo to create "Music Box," the local jazz legend's latest recording project. Grillo will be celebrating the four-song ballad collection at a CD release show Friday night at the Jazz Gallery, 936 E. Center St. The idea of releasing an album of ballads may come as an intriguing contrast to a music industry currently emphasizing energetic singles and poppy, catchy hooks. For Grillo and Kral, however, this is the music they wanted to do. "We both like them so much," Grillo said. "All songs are written for a reason and with a message, but there are certain ballads that are written which have much more meaning to them than, say, an uptempo jazz or swing tune. We picked songs that have a lot to say, lyrically and musically." Among the four songs included on the disc are "Always On My Mind," "Some Other Time" and "Blame It On My Youth." That last song, an ode to loves lost at a young age -- performed by the likes of Nat King Cole and Frank Sinatra -- is Grillo's personal favorite of the four, but they all have a timeless quality that speaks to all audiences. "The lyrics and what they say to people about relationships and feelings are all things involved with the human experience," Grillo said. "They're universal. The song is going to last forever because every generation that hears that song is going to identify with it. And that's not so true with songs written today." Of course, that didn't stop Grillo from trying. Completing the four-song set is "Lonely," featuring lyrics written by Grillo and music by Roe Fosco. A friend of his wrote the melody after her father passed away and let Grillo write his own lyrics for the song. What he ended up with was a love song about loneliness, emptiness and relationships ending for any variety of reasons. "It's a break-up song and all about loss, but it's not really depressing," Grillo said. "None of these ballads are depressing. For me, ballads can be uplifting because they have messages that can help ease the pain." He recorded it previously with a jazz trio with a more Latin tempo, but he wanted to give the song another, slower try with Kral. In fact, that's what Grillo is attempting to do with the entirety of "Music Box": slowing down the songs in the hopes of making the meaning come out more. "We did these at a very slow tempo so the lyrics could be totally understood," Grill said. "Because of the way (Kral) plays them and the way we interpret our feelings through the songs, that's basically why I called it 'Music Box,'" Grillo said. "To me, that's what it sounds like. Well, a music box that lasts a half hour. To me, it's a similar feeling of sitting back, letting that music play, listening to it and letting your feelings go. People don't do enough of that today in my opinion." It's an interesting and "meditative" direction for the local jazz icon's latest recording, as well as possibly his last. No worries, local jazz fans: While touring and travelling the country have lost their appeal to Grillo, he still loves to perform and would even like to hop back into musical theater (he's previously done "Cabaret," "Fiddler on the Roof" and "The Fantasticks"), possibly even to rejuvenate his cabaret show "Jerry Sings Broadway." As for recording, though, his time is likely done. Probably. "I think I've said what I pretty much have to say musically," Grillo said. "I've pretty much recorded the songs that I love the most. Each CD has songs that I've always wanted to sing. Sure, there are other songs that I do sing that I've never recorded that I love very much, but I'm not going go out and record them. "Music Box" will be the last CD I do, other than if I write all of my own songs. If I write all of my own songs, I'll do another one." Jerry Grillo has been at it long enough to call himself a veteran even if he answered his calling as a jazz singer relatively late in life. Only after retiring from a career as a schoolteacher in 1999 was Grillo able to devote himself to his first love. Since then he has released no fewer than nine CDs. He has also watched CD sales shrink, the ladders for getting a leg up in the industry collapse and opportunities to perform dwindle. "People say, 'I got your CD at the library and copied it!' How am I supposed to answer that?" Grillo says with a sigh. "For singers, it's not as good as it was." Grillo forges onward anyway, lending his foggy voice to the standards of pre-rock American songs in settings that sometimes depart from the norm. 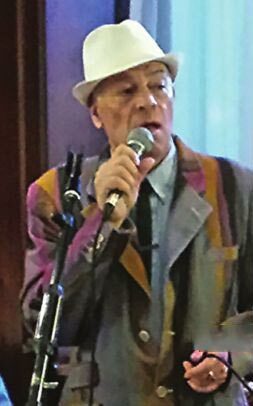 He's enjoyed a varied track record, performing with a diverse range of musicians, including The Danglers and the Nick Contorno Orchestra. He's sung with only a pianist for accompaniment and with a trio. Usually his combo includes bassist Madeline Dietrich, guitarist Kirk Tatnall and percussionist Randy Maio, who loves slapping the skins with his palms and playing with wind chimes as well as drumsticks. To find work in restaurants and private functions, many jazz singers have switched to pop tunes, "and not in a jazz way," Grillo adds. 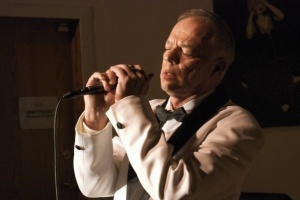 He has always sung a few of his favorites from the 1950s ("Venus") and has added a couple of country songs ("For the Good Times," "Rambling Rose") that open easily to jazz, but prefers to draw from the classic jazz singer repertoire. Songs popularized by Frank Sinatra are a mainstay, along with compositions by Antonio Carlos Jobim for a Brazilian lilt, a funky "Summertime" and a sizzling, edgy rendition of "Fever." "I can't change 'Moonlight in Vermont' or 'The Nearness of You' in good conscience," he says. "But we do many songs in a nontraditional way, changing the chords, the voicings and the rhythm. Kirk will play guitar with pedals and come close to a rock guitar solo never a real rock solo, but close." Grillo's voice has gained assurance and nuance, as attested by a close listen to his 2009 anthology CD, Some of the Best. He pops up in unexpected venues, such as LuLu Cafe or Paddy's Pub, and accepts the changing times with a shrug. "I wonder sometimes if I shouldn't have left town, but the problem is I really love Milwaukee. Where else would I have gotten an award? I'm proud of my WAMI." "Vintage Grillo...Milwaukee" is a new documentary created by a team made up of local jazz singer Jerry Grillo and filmmakers Tim Chiapetta and his wife, Lisa. The film looks at historic Milwaukee venues that occasionally feature jazz bands, including Transfer Pizzeria, 101 W. Mitchell St. This lesson in local history will include songs from Broadway and the Movies. A premiere screening of the film will be shown during the intermission of a concert by Grillo at 6 p.m. Sunday at the Wherehouse, 818 S. Water St. Weather permitting, the event will begin with a short cocktail hour on the patio. A line of jazz art-inspired T-shirts from Grillo's design company will be sold at the event. There's no admission price, but there is a two-drink minimum (includes soda). For years, Jerry Grillo has been Milwaukee's jazz singer. He's been a constant on the scene, forging his own style out of a passion for singers like Frank Sinatra and Bobby Darin, but always letting the Grillo come through. He's recorded numerous CDs with different bands and in different settings. When he takes the stage at Cafe Lulu, 2265 S. Howell Ave., in Bay View on Saturday, May 8 at 10:30 p.m. it will be fronting a new group called Historical Mystery Band. "I've always have had a band," says Grillo. "With jazz bands, however, most singers and players use whoever is available, because their skills are such that they can play any chord charts in almost every rhythm." But with the Historical Mystery Band, which includes keyboardist Scott Currier, guitarist and bassist Kirk Tatnall and percussionist Randy Maio, Grillo wants to work with a band in a much more close-knit fashion. "I would like my songs to be done in a way that is familiar to my own chosen musicians, and I also prefer musicians who write some of their own tunes, so we can feature them. I have chosen this band for that particular reason. I will also add saxopone or trumpet depending upon the gig." Historical Mystery Band is a band, says Grillo -- who also performs with the 15-piece Nick Contorno Orchestra -- not just backing musicians for him. Currier and Tatnall have been writing original material that the band will perform alongside a selection of standards. "Instead of just showcasing myself, I wanted the band to have a name other than only mine. We are a band, not just Jerry Grillo, the singer." "I was recorded on a cell phone at a gig, and that video was sent to me via Facebook," he recalls. "It prompted the thought that I would like to have a better quality documentation of my bands and myself as performer. (Chiapetta) offered to film that, and I indicated that I wanted to be filmed at venues which would be considered historic because of the buildings they were housed in, or because they were considered historical because the venue was a Milwaukee landmark venue for so many years. "I didn't want a staged video because I generally don't find them interesting for a jazz band. The documentary form was appealing to me because, if it is done well, it highlights the venue and the band at the same time. This is a concept film which includes the band as well -- not just a video. Film documentaries have always intrigued me. Videos of a band just playing their songs, don't really interest me at all. That is only a promotional tool." If the name of the band seems like something of a mystery, itself, Grillo says it has a meaning relevant to the group and for the film project, too. "The mystery part of the title is because of the fact the venues will be decided upon as we go along," he says. "This is part of a journey, filmwise, and will take quite a bit of effort and time to produce. I also have always been interested in historic venues, performed in many of them, and have never been filmed live professionally. " Cafe Lulu, says Grillo, fits his criteria perfectly and is therefore perfect for the event. "Cafe Lulu was selected because the original restaurant was a George Webb, and if that isn't historical, nothing is," says Grillo. "Also, they have become an intrinsic destination in Bay View, and were the first to develop that corner. The transformation of Kinnickinnic and Lincoln has been very interesting to watch." Grillo's most recent solo CD, "Some of the Best," is available for purchase at performances only. Jerry Grillo was a little taken aback. When a fan he had never met before, Lisa Chiappetta, showed him the video she made on her cell phone camera of one of his performances, Grillo thought, “I don’t like the YouTube quality.” But the encounter sparked a series of conversations, a train of thought that led to the Milwaukee jazz singer’s latest project. Starting this spring, the Jerry Grillo Historical Mystery Band will be on a tour of landmark local venues, trailed by cameras. Lisa’s husband, Tim Chiappetta of Milwaukee Metro Design, will edit the footage into a documentary suitable for the festival circuit. “I thought it would be fun to do something more involved and of better quality than just something you throw online,” Grillo says. The singer and showman is no stranger to working with film and video artists. In the early ’90s, when his career as an interpreter of classic songs had just begun, Grillo did a short subject with Milwaukee filmmaker Cathy Cook, who has since gone on to national acclaim. The intervening years, however, mostly have been devoted to making music. Grillo has released no less than eight CDs and recently posted an original song on his website. He chose the location for this weekend’s gig at Café LuLu (2265 S. Howell Ave.) because the building once housed one of those favorite diners for Milwaukee night owls, George Webb. On May 13, Grillo will take the show to the Harbor Room (117 E. Greenfield Ave.). The Historical Mystery Band features top-flight local jazz musicians, including Kirk Tatnall on guitar and bass, Scott Currier on keyboards, Mike Caldwell on saxophone and Randy Maio on drums and all manner of percussion. Several songs in the set list are instrumentals by Tatnall and Currier, but the focus will be on songs chosen and sung by Grillo. The Jerry Grillo Historical Mystery Band performs at 10:30 p.m. Saturday, May 8, at Café LuLu. Several years ago Jerry Grillo was one of the most prolific jazz performers in town, recording no less than seven CDs from 1994 through the middle of the present decade and singing consistently in local clubs. He didn't fall silent as much as he became quieter, playing modest duets at Paddy's Pub and weddings and corporate parties with the Nick Contorno big band. "I was content for a while not scratching around for gigs," Grillo says, explaining that his father died recently and his mother has been unwell. "It puts one in a contemplative mood," he continues. "For a while I didn't feel like doing anything." Grillo returned recently with a new CD called Some Of The Best, a digitally remastered career retrospective culled from many of his previous CDs, plus a live bonus track and an alternate take of Frankie Avalon's hit "Venus." It's the culmination of his contemplative phase. "I started thinking of all the musicians I've worked with over all these years," he says, explaining that at one time he toyed with ideas of either a bluesy album or a disc of songs newer than his usual repertoire of Gershwin, Ellington and songs from the golden years of popular songcraft. "The project became more of a sentimental thing, more of a tribute situation. And it was easier to do." From the get-go Grillo attracted many of Milwaukee's best jazz musicians. On electric guitar: Jack Grassel, Kirk Tatnall and Steve Peplin. Barry Velleman and Scott Currier have been heard on piano. Randy Maio, Charles McFarlan, Jeff Hamann and Tom McGirr are among the rhythm players. Milwaukee expatriate Julie Wood lent her saxophone on occasion. All are represented on Some Of The Best, a set that includes edgy experimentation and straight ballads, '30s swing and '50s pop. Although Grillo had dabbled over the years in cover bands and musical theater, he was a late bloomer as a jazz singer, tossing his hat into the bullring only after retiring from Milwaukee Public Schools. Some encouraged him to follow his star in cities where lights are brighter, but Grillo refused to leave. "I love my house. I love the city. I'm thrilled with what's happening here-other than the winters," he explains. "There were so many negatives about moving. But the big reason was all the musicians I could work with here. I feel these people could play anywhere in the world with anybody. They are exceptional." He pauses for a moment and adds, referring to Some Of The Best, "Maybe this is the final product. I don't know if I'll actually make another CD" in a world of rampant piracy and an imploding music industry. "But I'm adding songs to my repertoire and I have the people who can play them." Cupping his hands around his microphone, his eyes half closed, Jerry Grillo sways to the rhythm of an inner reverie as he puts his singing on pause to allow his guitarist to take a solo. Live, Grillo is the consummate lounge singer, wrapping his voice around the meaning of every word of every standard he sings. But when speaking about his fifth full-length CD, Fever...And Other Symptoms, Grillo declares, "This is not lounge at all to me." The 12 tracks are all standards from the classic era of American pop music, the '30s through the '50s, unless they are more recent tunes in the style of a Brazilian samba, but most of them aren't performed in a standard way. "It's alternative. It's in your face. It's funky," he explains. When Grillo released his first CD in 1994 he colored strictly within the lines of his repertoire. A few years later, he edged the material into less explored areas. And then he pulled back a little, finding a comfortable balance between familiarity and strangeness. "It's taken me years to find out how far I can go without going too far," he says. On "Fever," Grillo incorporates lyrics from Sonny and Cher, the Doors and Gershwin to the song's elastic rhythm while guitarist Kirk Tatnall tears off a Hendrixy solo. Pianist Scott Currier threads a bluesy pattern through "Come Rain or Come Shine." The inherent funkiness of "Softly As In a Morning Sunrise" surfaces with help from guitarist Steve Peplin and drummer Randy Maio. Grillo also relaxes into a more intimate mood on three songs accompanied only by pianist Barry Velleman. "I'm putting my own stamp on these tunes," Grillo says. "I don't think artists can make it today without stamping their own heart and soul on the pieces. This is definitely who I am." Jerry Grillo has created a jazz vocal showcase for himself with such classics as "Softly As In A Morning Sunrise," Cole Porter's "Get Out Of Town," Jobim's "How Insensitive," Carmichael's "Georgia On My Mind" Davenport's "Fever," George Gershwin's "Summertime," Johnny Mercer/Barry Manilow's "When October Goes," Holiday's "God Bless This Child" among others in the outstanding CD release titled FEVER......AND OTHER SYMPTOMS. 12 selections. Backed by various artists, including guest pianist Barry Velleman, this is an entertaining collection of jazz classics. It is a pleasure listening to the solo work by these artists. The rendition of the Mercer/Manilow song, "When October Goes," is a highly emotional and sensitive interpretation, and it reveals the complexity and range of Jerry Grillo's voice. 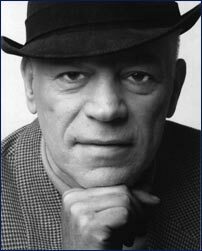 The piano accompanying Grillo is played by Barry Velleman. A nice listening experience, this CD will find a home among jazz vocalist fans everywhere. Jerry Grillo at his best! A throwback to the days of cabaret, Grillo has earned comparisons to Frank Sinatra and Bobby Darin, and it's easy to hear why. He has a rich, resonant voice and a good dose of swagger that commands listeners to pay attention. On this single, he offers two versions of the title ballad. The second version is slightly bluesier, and clocking in two minutes longer, it allows for some nice solo work by members of the Barry Velleman Quartet. A close listen of Milwaukee jazz vocalist Jerry Grillo's new CD What's It All About? is akin to a perfect date in Manhattan. It's a crisp night, and you're holding hands. Seeking warmth and a big glass of red wine, you duck into a small, smoky club. A few couples whisper to each other, and there are a few single people up at the bar. The man at the piano begins, and then a voice begins to sing. But New York has plenty of that. Thankfully, Milwaukee is the city that gets Jerry Grillo. In his sixth and final CD for the amJazz label, which he created in 1994, Grillo pairs up with pianist Barry Velleman to sing classics of renewal and devotion. Velleman, Grillo's frequent collaborator and member of the Jerry Grillo Quartet, brings his own arrangements to the party. It's twinkling lights and ice cubes, carefully scored "I have always wanted to do a jazz piano/vocal recording with a great accompanist since I heard the Tony Bennet/Bill Evans albums many years ago," Grillo explains. He calls it "jazz with a dash of cabaret", which is a particularly apt description on his version of Cole Porter's "Night and Day." Grillo calls "Cry Me a River" the "perfect revenge song," and here he sings it with an almost drunken apathy, as if he is shrugging and flipping someone off, a smile on his face the whole time. And although it is a little early for holiday songs, the album's last track, "Have Yourself a Merry Little Christmas," is enough to get you in a eggnog sort of-mood. Extra whiskey, please. One thing is clear upon hearing Jerry Grillo's new CD, What's It All About: He admires good piano players. On Grillo's sixth full-length disc, the Milwaukee singer is accompanied exclusively by pianist Barry Velleman, who brings a high level of musicality to the proceedings. What's less apparent — although it makes perfect sense if you're listening for it — is that the 13 standards comprising the CD (but not the bonus track of "Have Yourself a Merry Little Christmas") are sequenced to tell a story. Grillo imagines What's It All About as a cabaret show. All he needs is to show up in a club with the songs, plug in the mike, wheel in the piano and add a little between song banter. The outline for the act is already digitally inscribed on his new disc. "In my mind I already had the story. Then I picked the songs," Grillo says, explaining the choice of jazz era favorites such as Cole Porter's "What Is This Thing Called Love" and Rodgers and Hammerstein's “We Kiss in the Shadows," along with Burt Bacharach's "Alfie," John Lennon's "Love" and the Carpenters' "For All We Know. "It's about two people getting together, how love develops, how it comes to a point of stabilization and into a breakup. You don't know if the couple get back together or not, but they come to terms with their own lives," he says. In many respects, Grillo — who through his eight year recording career has fronted a big band, dabbled in cutting-edge jazz and toyed with ways of retooling the old music for a new generation — comes full circle with What's It All About. It's a collection of lovingly performed pop songs from the pre-rock era, plus a few newer, compatible tunes, arranged in a style similar to the classic jazz-vocal combos of the '50s. His next goal is to take his voice out of the bars and into the concert halls. "I'm looking for a quiet room where people pay to hear me. I think I've paid my dues. I think I'm ready for it," Grillo says. He s become Milwaukee's Ol' Blue Eyes. Approaching 10 years of singing in town, local lounge crooner Jerry Grillo, a fixture at Caroline's Jazz Club and Hi Hat Lounge, prepares to celebrate the release of his sixth album "What's It All About" with a show 3 p.m. Sunday at Wisconsin Conservatory of Music's Bader Recital Hall, 1584 N. Prospect Ave. The event is free and open to the general public. It will have Grillo performing as part of a duet with pianist Barry Velleman. Velleman, a Berkelee College of Music alumnus, performed with many well-known jazz singers and musicians on the east Coast in the late '60s and early '70s before moving to Milwaukee to teach at Marquette University. Grillo is the star of the extended-play live recording. He sings seven songs backed only by guitarist Grassel and bassist McGirr. The same dynamics Grillo brought to big band singing are present on this small combo outing. On this club date, he has freedom to rearrange the melody line and deliver a more expressive statement..... the date takes on a swinging demeanor. Grillo is an entertainer who can get a crowd into the performance through his personality and delivery. "Grillo croons from gig to gig with a '40s, early '50s flare." Highlights of Grillo's career plus comments on his latest CD release and his rural beginnings in Hibbing, Minnesota, going to high school with Bob Dylan. "He's routinely booked into venues as varied as The Uptowner, a popular boho dive in Riverwest that brings in live music, and Hi-Hat Lounge, the trendiest of nightspots along the rapidly gentrifying Brady Street strip." Comments on The Uptowner CD, the Nick Contorno Orchestra release, and conductor Nick Contorno's career. "In the past five years he's worked his way back and forth across the repertoire of the 30's and 40's, crooning the old songs, jazzing them up, deconstructing them and putting them back together again. The Contorno disc is already Grillo's fifth CD, and he shows no signs of stopping now." Goody for You, his new release of jazz standards, and his captivating club appearances testify to the remarkable improvement Grillo has made as a vocalist and entertainer since 1994, when he released his first CD, "This Funny World," and began performing live. "The secret is I finally found my own style," Grillo said. "It is very natural. I'm more spontaneous, more upbeat, not mellow or torchy, and my presentation is very audience-oriented. "At the beginning, I thought I had to sound like someone else, but now I have my own way of singing these wonderful songs. I keep working on technique, just getting out there and improvising." Indeed, Grillo is carving out his own identity with skilled improvisations, changing the phrasing and emphasizing different words as he expresses the lyrics. There are no formal arrangements. "Every song is what I feel at that moment," Grillo said. "It is a wonderful experience to go out as a jazz performer because every evening is new, and it is a thrill to me to sing the song a different way each time." As a performer, Grillo exudes the inner excitement he feels. With confidence and cabaret charm, he finds the right groove, taking each song in the direction he wants it to go. Often, he'll sing a slow ballad, such as "What a Difference a Day Made," and put a sunny spin on it. "People go out to have a good time, and they want to swing. So I might do 'My Funny Valentine' with high energy and a blues sound, like Etta James would do it." In 1997, Grillo retired after 30 years as a teacher with Milwaukee Public Schools, and now devotes full time to his singing. He credits his successful musical transformation to vocal lessons he took from Chicago songstress Jackie Allen and to frequent collaborations with guitarist Jack Grassel and pianist Barry Velleman. "They really challenge me because we are constantly improvising and playing off each other," Grillo said. "Each night is a jam session." Grassel and Grillo perform together as often as twice a week, and Grassel has encouraged Grillo to bring a high energy '90s approach to timeless tunes from the '30s, '40s and '50s. "Jerry has an unusually high level of musicianship," Grassel said. "I can stop playing altogether and then come back in a few minutes later, and Jerry is still on the same pitch. Our music is greater than the sum of its parts. "He has gone from being an average Milwaukee vocalist to being a world-class vocalist. "If you look at what Jerry has accomplished in the last three years, just think where he'll be in the next three years." Singer Jerry Grillo takes a more cautious approach with a dozen standards on "Mister Grillo," his second amJAZZ CD. Grillo has a mellow rather than adventurous approach to interpretation. He makes the most of "Take the A Train," "All or Nothing at All," "Angel Eyes", and "Sweet Georgia Brown." His accompanists, including pianist Barry Velleman, guitarist Jack Grassel and saxophonist Julie Wood, are uniformly terrific. - Keith Spore, publisher of the Milwaukee Journal Sentinel, a longtime jazz listener and a former music critic for the Milwaukee Sentinel. "Jerry Grillo Is Playin' It Cool"